Everyone goes through a phase in life when being aware of some of the best natural hair growth products becomes a priority. Derived from natural produce of Mother Earth, these products enable you to overcome hair loss by nourishing the scalp, eliminating problems, and encouraging the growth of new hair. As a result, regular usage may give you the gift of a thick, strong, and healthy mane which you can be proud of without having to suffer any side-effects. 70% organic and particularly effective on oily hair. 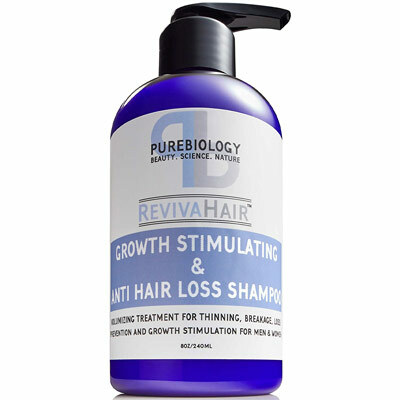 Repairs damaged hair and revitalizes the scalp. Can be used for children and sensitive skin. Did you know that on an average your hair grows by half inch every month? Of course, it also depends on your overall health and well-being but hair growth more or less follows the same slow pattern. 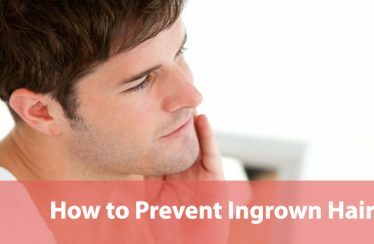 Now imagine a situation wherein you might be experiencing hair loss on a daily basis, and your existent rate of hair growth is unable to cope with the situation. Reasons for losing hair are plenty, ranging from chemotherapy to incomplete diet and everything in between. What you end up with is a depleted mane and at times even baldness, which has an adverse impact on your appearance. This is where natural hair growth products come in. They are comprised of nutrients that repair and nourish the scalp and hence are effective not just in treating a variety of problems but also strengthening the hair follicles and strands. Read through the following sections to learn how these products can benefit you and the modus operandi for identifying one that could actually help you overcome hair loss. You should be cognizant of how supplements may interact with any medical conditions or medications that you are taking. Please avoid taking too many supplements at once. Click below to get detailed information on each product by price. It is actually a myth that best natural hair growth products are expensive and come for a fortune. In this section, you will find natural and eco-friendly options that are cost effective and at the same time capable of restoring the health and thickness of your mane. Starting with one of these options is a good idea. While the experience would serve to provide you with an in-depth insight into this segment without burning a huge hole in your pocket, it would also enable you to judge the efficacy of claims made. With its watery consistency, this Aloe Vera gel is closest to the plant as it exists in nature. This in itself is indicative of the holistic nature of the product in the sense that it is bereft of any synthetic additives like chemicals, color or fragrance. 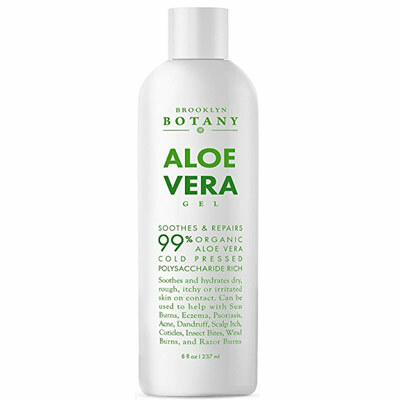 On using this product you can expect to benefit from the natural healing properties of Aloe Vera, namely hydrating the scalp, soothing any inflammation or itching, and providing nourishment. There is a good reason as to why Aloe Vera is referred to as a miracle plant. In addition to being replete with all types of vitamins, it is also naturally endowed with a high concentration of folic acid, choline, and a plethora of minerals. As a result, it is extremely effective in combating bacterial and fungal infections not to mention rejuvenating the skin/scalp wherever it is applied. In addition to being used as a gel, this product can be applied as an after-shave or a leave-in conditioner on the scalp. On being repeatedly applied, you are likely to feel the difference in terms of your scalp feeling hydrated and much of the roughness and irritation has subsided. Natural enzymes of Aloe Vera work their magic by destroying the dead cells and fungi and balancing the pH level of your scalp. For best results, you can massage the get on to your scalp, leave it for 10-15 minutes and then rinse just before shampooing your hair. It is after you shampoo that the cooling, soothing, and moisturizing effect will be apparent. A word of caution entails keeping it out of children’s reach and consulting a physician in case you are pregnant. Because it is based on Neem, a member of the mahogany family of trees, it has all the therapeutic powers that have been associated with this plant over the last 5000 years. Neem extract has been revered for its medicinal properties since ages owing to being an effective antidote for fungal, bacterial and, viral infections, not to mention its purported ability to control diabetes and act as a sedative. Application of this conditioner on your scalp will not just help clear away any sign of bacterial or fungal growth but it will also build a layer of protection that would reduce susceptibility to damage caused by infections and free radicals. Over a period of time, the scalp recovers sufficiently to facilitate regeneration of cells which in turn stimulates the growth of hair. This product owes its moisturizing properties to the inclusion of several varieties of fatty acids like oleic, linoleic, and stearic, which nourish the scalp and help overcome problems like dandruff and itching. 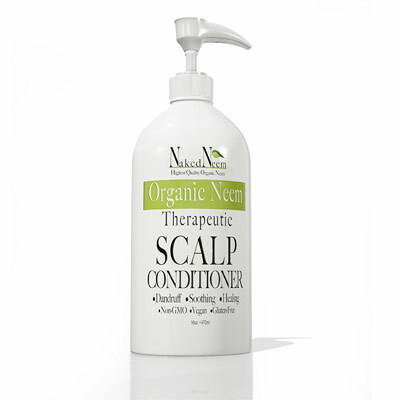 If your scalp is dry, flaky, inflamed or feeling irritable, this Neem based conditioner is a perfect remedy. Due to the stimulation that it provides, your scalp will have soon recovered and the outcome will manifest in form of thick, strong, and luxurious hair. Depending on the damage suffered by your scalp, you can apply this conditioner daily or multiple times during the week as required. Modus operandi entails smearing adequate quantities on to the scalp and leaving it for 10 minutes before rinsing. Avalon has established itself as a brand that holds a deep reverence for Mother Earth and all its products are based on this concept. 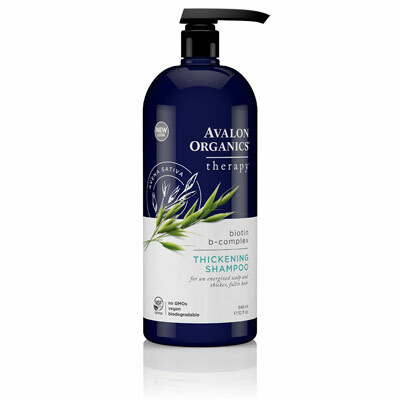 The Avalon Organics Biotin B-Complex thickening shampoo is no exception to this rule and hence offers a natural route to anyone desirous of a thick mane. Using this shampoo serves to spur hair growth by stimulating your scalp courtesy of components like essential oils and organic botanicals. Ingredients like vitamin E, biotin, quinoa protein, and saw palmetto meet the dual purpose of cleansing the scalp and nourishing the strands from the follicle right through to the tip. The overall outcome is that of wellness achieved through the use of selective botanicals and sustained good health of your hair. This shampoo is most effective when it is applied on wet hair. You can massage it on to your scalp and work up a good lather that extends till the tips. After a few minutes, rinse your hair of all the shampoo and follow with a conditioner if you like. Since there is no hard and fast frequency as far as usage is concerned, you can set your own schedule as per your hair type and lifestyle. A word of caution pertains to ensuring that it does not go into your eyes and is strictly meant only for external use. The best natural hair growth products listed under this category are positioned mid-way on the price spectrum while laying emphasis on quality. Many of these products comprise of ingredients that are used in ancient systems of healing or are very close to their natural state. Hence, the price of acquiring these ingredients and the craftsmanship involved in blending them is reflected in the amount. As you walk down the aisle of best natural hair growth products, make it a point to compare the price with the benefits offered by the product. Doing so will enable you to realize whether or not these options are good value for money. All you need to do is go through the description, specifications, pros, and cons to adjudge whether the product in question is actually meant for you. 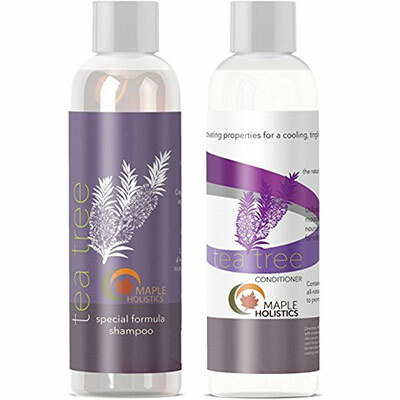 Essential oils, namely tea tree, and lavender, form the base of this shampoo. This makes it particularly effective in combating dandruff. The tea tree oil is acquired from plants based in Australia and is of the highest grade in terms of purity and quality. When used as the base for this shampoo, it combats dandruff by clearing the scalp of dead cells, dirt, and grease and repairing the damaged, frizzy, and brittle strands. Lavender in the shampoo removes itchiness while amino acids and vitamins nourish the scalp while protecting it against any kind of fungal infection. The product takes pride in being free of sulfate and parabens and instead harnesses the power of herbal extracts and essential oils to overcome common scalp-related problems like flaking, shedding, and itching. Overall, it is a safe and effective way of acquiring healthy, thick, and strong hair which can be easily detangled without much effort. Being a shampoo, this product is applied to hair, worked into a lather, and rinsed after a few minutes. You can follow up with a conditioner of the same brand wherein it is applied and left on the scalp and strands for a few minutes before being rinsed. So, if your mane is dry and damaged or ridden with dandruff, then this is a natural product that you must definitely try. At times you might lose fistful of hair owing to circumstances beyond your control, like postpartum phase or chemotherapy. In such a situation, what you need most is a supplement that would replenish all the nutrients of your scalp and strengthen the roots to prompt the growth of new hair. 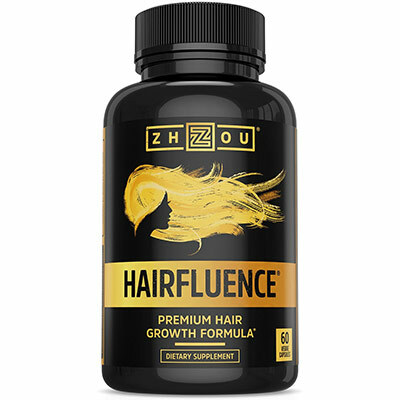 Hairfluence is exactly the kind of supplement which would ensure all of this and more. Makers of this product hold the belief that health issues faced by the human body, including hair-fall and baldness, can be solved by judicious consumption of natural ingredients. While many of these may be present in our diet, their quantity may not be sufficient to fulfill the body’s requirements. This is where Hairfluence comes in – it makes up for the number of nutrients that may be missing and not just spur hair growth but also add volume to your mane. Hairfluence is a scientific blend of biotin with minerals, vitamins, and amino acids using a carefully worked-out formula meant to provide maximized results to the users. An effective cleanser for your hair is this shampoo which is laden with garlic and hence comes with multiple therapeutic abilities associated with this member of the onion family. 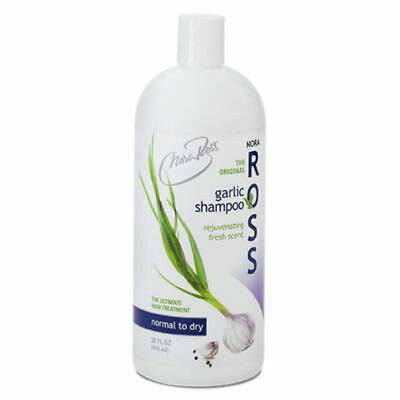 Garlic has been revered through centuries for its cleaning action and that is what this shampoo excels in, namely cleaning and eventually unblocking the pores of the scalp thoroughly. This serves to restore vitality in a number of ways like improving blood circulation and moisturizing the surface, both of which prompt fresh growth of hair. Owing to all ingredients – garlic, citric extracts, rosemary, olive oil, and panthenol – having being homogenized, this product is also recommended for conditions like eczema or psoriasis. It acts by penetrating the roots and restoring the pH balance, thus resulting in a more long-term solution. Hair loss among women is attributed to the collection of a wax called sebum on the scalp that interferes with fresh growth. Massaging this shampoo on the roots for a couple of minutes while washing your hair would cause the pores to unclog and rinsing with warm water will cause it to be washed away. Ayurveda is an ancient system of holistic healing that believes in restoring the health of the individual by balancing the various elements within the human body. 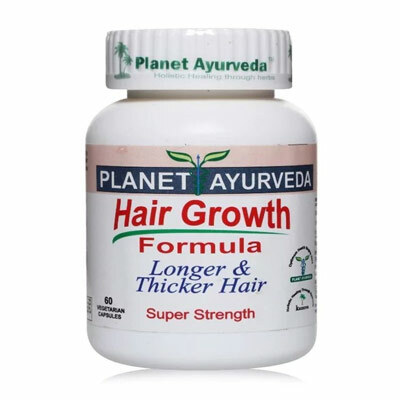 True to this belief, Planet Ayurveda pills have been created in a way wherein they use herbal supplements to spur hair growth on the scalp. In addition to being replete with multiple herbs, the capsule also boasts of a vegetarian shell, thus proving its efficacy as a 100% natural product. 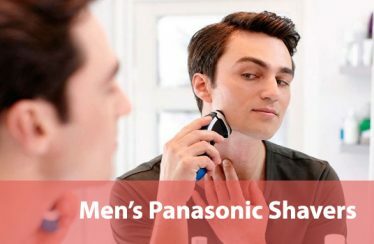 What renders this product truly universal is that it is not limited to a particular hair-type, meaning it can be used by men the world over to combat balding. This pill has a dual action wherein, on one hand, it strengthens existing hair and on the other hand it encourages new growth. The end result is a thick mane comprising of strong strands, thus giving a fuller appearance. If you go through the list of ingredients mentioned on the label, you will come across names like Amla, Brahmi, Ashwagandha, and Yashtimadhu, all of which are Indian herbs associated with wellness and growth of hair. On buying this product, you will have acquired 60 capsules which you are supposed to consume as per the directions provided in order to experience any improvement. Do your research before investing in one of these options. Being placed at the higher end of the price spectrum would render these best natural hair growth products expensive as compared to others, but all the same, they do come with certain distinct plus points. Some of these are particularly recommended since they are suitable for sensitive skin and are also effective in combating problems like eczema and psoriasis. With all the details listed, the onus is on you to check the product before taking a decision, given its cost. 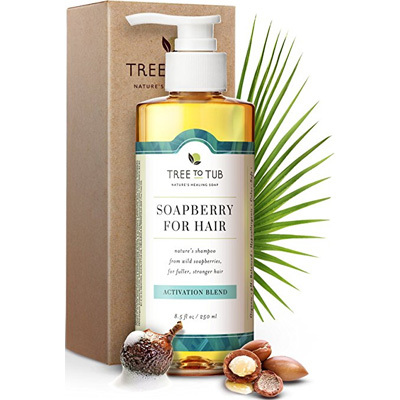 A product of the brand Tree to Tub, this shampoo is a creation of a start-up venture that uses soapberries found in the forests of Taiwan to make a chemical-free hair-care product. Described as being 100% natural, gentle on the skin and totally safe for use by its makers, this shampoo relies on the science of Ayurvedic healing wherein it works by restoring the pH balance of the scalp. As opposed to chemicals that strip the scalp of its natural oils, the soapberry in this shampoo preserves the natural properties of the scalp and heals it, thus strengthening the hair follicles in the process. What renders it truly attractive is that it is suitable for all types of hair and for all age-groups irrespective of the nature of the problem. 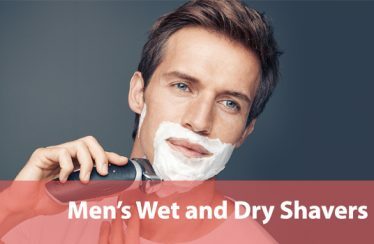 Unlike chemical-based shampoos that disrupt the hormonal system and cause hair loss, baldness split ends, and brittleness of strands, this eco-friendly alternative acts as a catalyst for the hair-growth cycle. As a result, after each wash not only does your scalp feel refreshed but also rejuvenated enough courtesy of fresh growth. Loaded with natural ingredients like biotin, keratin, and Amino Kera complex, this shampoo effectively stimulates growth on types of hair by revitalizing and strengthening the strands. Regular application not only controls shedding but also repairs damaged hair, thus minimizing breakage. As a result, the outcome is evident in form of increased volume over a period of time and the gradual disappearance of split ends. One of its ingredients is a complex named 3HC and its function is to stimulate the hair follicle, increase the number of hair fibers and enhance their lifespan. Another complex, Amino Kera, is meant to penetrate into the scalp and revitalize, moisturize, and condition the surface, thus resulting in healthy roots. If you are suffering from unexplained hair loss, then all you need to do is apply this shampoo regularly and wait for it to solve all the inherent problems. How about reinforcing your diet with a natural supplement which is replete with multiple herbal components and experience faster hair growth? 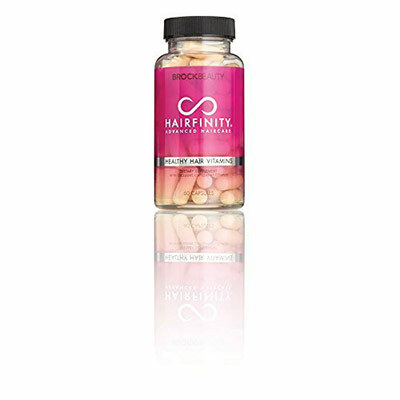 A single bottle of Hairfinity comprises of 60 capsules, each of which is loaded with biotin, vitamins, nutrients, and minerals and hence is meant to strengthen and maintain the beauty of your mane. Every ingredient that goes into this capsule serves to act for the benefit of your hair and primary among them is biotin whose purpose is to control dryness of scalp. Biotin also minimizes breakage by rendering the strands elastic and spurs production of keratin. Among the vitamins, vitamin B3 increases circulation of blood in the scalp, vitamin A replenishes antioxidants, vitamin C improves the skin of the scalp, vitamin D minimized shedding and vitamin B12 enhances the supply of oxygen to the hair follicles. For your mane to thrive and flourish, you must take 2 capsules a day and finish this bottle in a month. Over the years, your hair could suffer damage due to a variety of reasons like pollution, lack of nutrients, neglect or specific medical conditions. In such a situation, should you just give up and accept the loss as inevitable? This thought should be far away from your mind, given the plethora of options being offered under the category of best natural hair growth products. Ingredients used in best natural hair growth are usually as close to their natural state as possible and are incorporated owing to their hydrating properties. So every time the product is applied on to the scalp or orally consumed, it works by hydrating the scalp and moisturizing the hair follicles, thus countering the effects of heat and environmental pollution. Once your hair suffers damage, breakage is the next step, and if ignored or overlooked for a prolonged duration, it could lead to a significant amount of hair loss. Fatty acids are naturally equipped to prevent or repair breakage and this explains their incorporation in natural hair growth products. Along with lauric acid, fatty acids strengthen the hair, and in the process minimize unwanted breakage. The key to a healthy and thick mane is to provide it with daily nourishment in appropriate quantities and this is exactly what best natural hair growth products do. As you grow older, your scalp is steadily stripped of its natural oils and nutrition and this is manifested in form of excessive hair-fall or even itchiness and dryness. Most of them comprise of essential oils, minerals, and nutrients that replenish the scalp and nourish the roots. They also remove dead cells from the surface of the scalp, thus opening the pores and enabling it to breathe. Massaging best natural hair growth products on to your scalp has been known to boost blood circulation. As a result, the scalp receives an increased supply of oxygen and nutrients, both of which act as catalysts for the growth of hair. If a product is labeled as being natural/organic, the implication is that it would be bereft of harsh chemicals which have been known to cause unpleasant side effects. Your decision to opt for best natural hair growth products automatically protects you from the risk of exposure to these chemicals and thus eliminates the possibility of side effects. With terms like ‘organic’ and ‘natural’ having become a fad, it is imperative for buyers to be educated enough to be able to make out if the product is truly organic and natural. The unfortunate truth is that despite claiming to be organic and natural, products turn out to be anything but that and can even cause harm. Therefore, if you wish to be truly benefitted rather than suffer unpleasant side effects, it is imperative to be able to identify the diamond among the stones. These are just as essential for hair as they are for your body. Like the way in which the different vitamins benefit your body in multiple ways, their impact on hair growth is also positive and long-lasting. Some vitamins also serve to moisturize your scalp and this is why their mention in the list of ingredients is a must. Basically extracted from a variety of plants and herbs, their presence in products related to hair-care is indicative of its nourishing and soothing nature, not to mention the fragrance that they impart. Lavender, rosemary, peppermint, tea tree, and sage are some varieties of essential oils used commonly in best natural hair growth products and hence must feature in the list of components. A plant of Indian origin that is naturally endowed with therapeutic abilities, Neem is particularly effective against deep-seated scalp problems like flaking and itching that may reduce the density of your mane. Incorporation of Neem in a natural hair growth product implies that on application it will enhance blood circulation to the scalp and also reduce inflammation. Regarded as being one of the best natural stimulants of hair growth, Aloe Vera is rich in both minerals as also vitamins and is particularly effective in removing sebum off your scalp. Given its wax-like nature, sebum has a tendency to clog the pores of the scalp and give rise to bacterial infections. Massaging Aloe Vera gel or juice on to the scalp would unclog pores by removing sebum, and also cure the fungal and bacterial growths. These add to the volume of hair by strengthening the strands and removing split ends and hence find mention in the list of ingredients of best natural hair growth products. Now that you are cognizant with the multiple benefits that can be accrued by using best natural hair growth products as also the ingredients that should be present to render them effective, you must further extend your understanding by learning how to identify one that is suitable for you. The starting point for good and effective hair-care is to first know your hair in terms of its texture and porosity. While the texture would enable you to determine your hair type, porosity is indicative of the ability of your hair to absorb moisture. For example, African-American hair is flat, twisted, has low porosity, and weak in terms of tensile strength. So the best natural hair growth products that would suit this hair-type should be moisturizing and one that minimizes breakage. Likewise, Asian hair is circular, strong, and average in terms of porosity and Caucasian hair has the highest porosity but is inherently weak. Does your hair appear frizzy or damaged or your scalp is feeling itchy and inflamed? All these are indicators of the health of your mane and should be borne in mind while looking for natural hair growth products. Not all best natural hair growth products are born equal and because they differ from each other in form, they also need to be used or applied differently. As a user, you need to be aware of whether it is a gel, moisturizer or shampoo as also the dosage and frequency in case of oral consumption. Climate plays a seminal role in determining how effective the best natural hair growth products might be and hence this is a factor which you must take into consideration. For example, high humidity would call for using a product that improves blood circulation in your scalp and keeps the pores unclogged while winters require a natural hair growth product that combats the dryness of scalp. Since it is likely to be a trial and error, you might prefer to start small and then gradually stretch your budget as you become more aware of the various options in this segment. That being said, it is just a matter of finding one that suits your hair the best and then you can continue using it as long as it fits within your purse. Because there is an entire spectrum of best natural hair growth products available to suit every kind of budget, pinpointing one that suits you in every way should not be difficult. 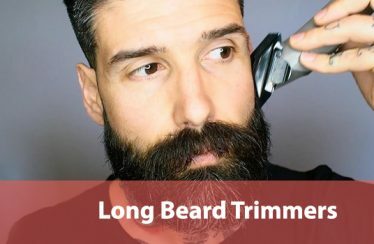 Do I Really Have To Cut My Split Ends?